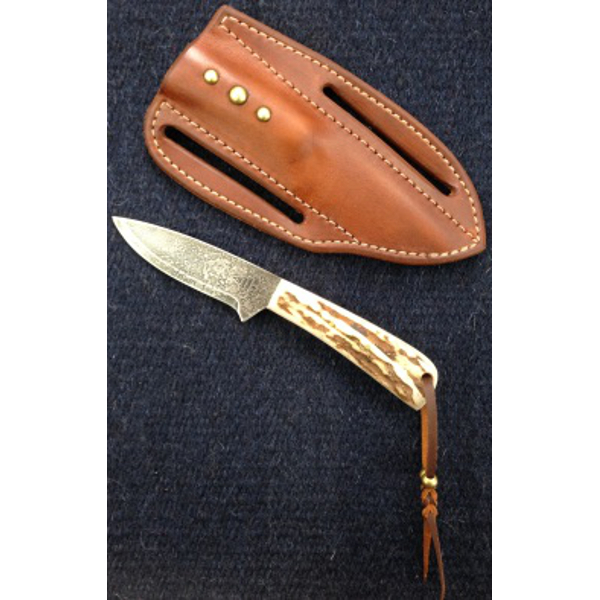 The Ridge Line Hunter has a drop point style blade and sits on you belt at a 45 degree angle and usually carried as a cross draw. 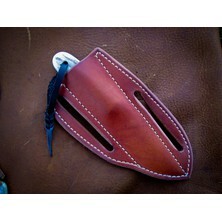 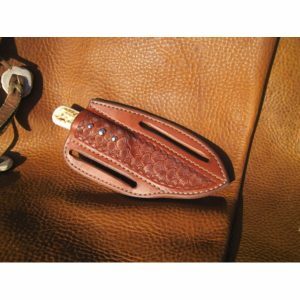 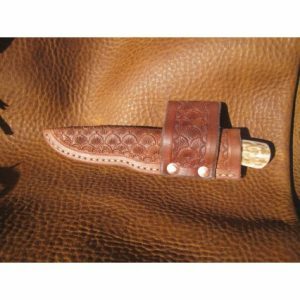 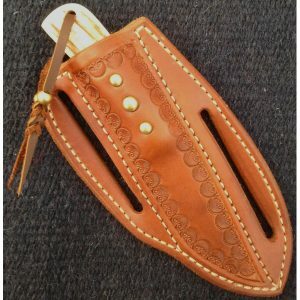 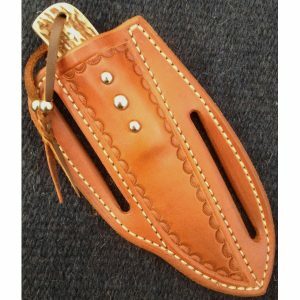 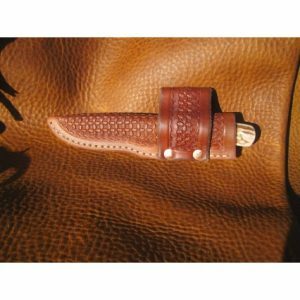 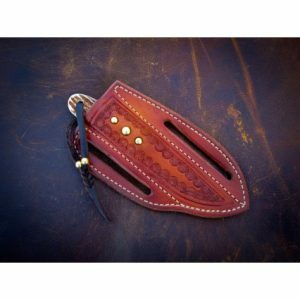 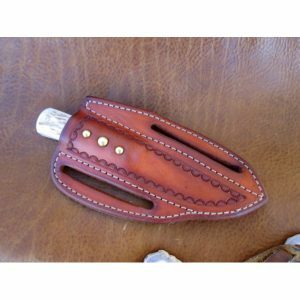 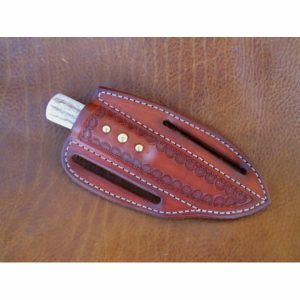 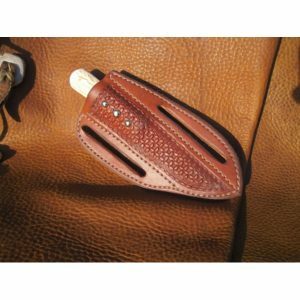 It can be made with a left handed sheath. This is a great all around knife for hunters and any outdoorsman. 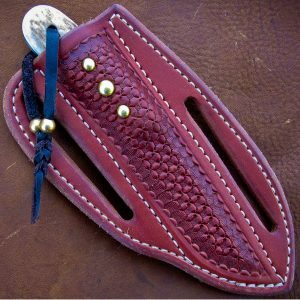 Whether a Rancher, Working Cowboy, Trail Rider, Hunter, Fisherman, or just like the outdoors this is the one for you. 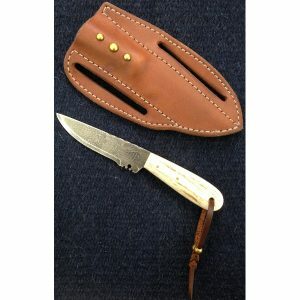 The knife has a 3″ blade and a 3 1/4″ handle and a overall length of 7″.